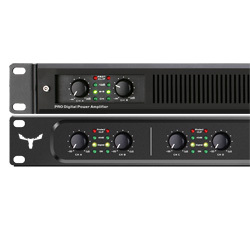 Super-efficient class D technology amplifiers developed to deliver high output power and proven reliability for touring and portable applications. 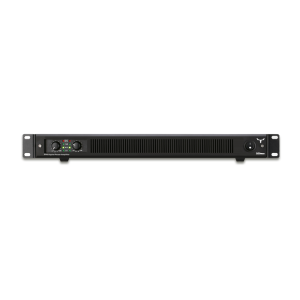 The DLINE series amplifiers are designed to meet the specialized needs of sound contractors. Four models have been developed to deliver high output power, wide dynamic range, low distortion, high efficiency and ease of use for a wide variety of sound reinforcement applications. The DLINE series amplifiers are powerful, affordable, rugged and reliable, a superior solution to any portable or permanent installation. 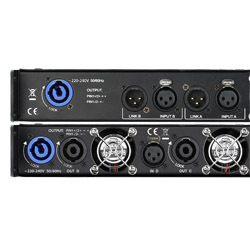 There are two models of 2 channels plus 2 models of 4 channels all prepared to work @2ohm with front panel LEDs to monitor power, signal and clipping at a glance and parallel XLR/M and XLR/F connectors for simple loop-through connectivity.